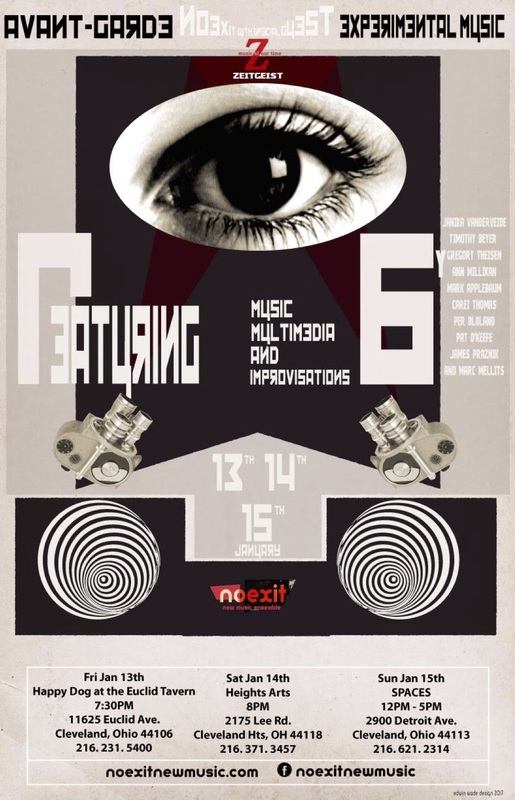 Acclaimed new music ensemble Zeitgeist (from St. Paul, MN) joins Cleveland’s No Exit for an unforgettable evening of experimental music. Both groups will play works from their unique repertoire as well as joining forces to perform collectively. The program will feature a plethora of thrilling avant-garde sounds including music which explores the possibilities of the electroacoustic medium. Show starts at 7:30. Free and open to the public.